Here are some of the posts that featured the educational materials. To really learn more, however, you'll need to buy and read my books and take some of my courses, seminars or webinars. [VIDEO] Should businesses own real estate? [VIDEO] Dead Capital in a business and buying a job. Specific Knowledge is key to finding deals others cannot. [VIDEO] Advice for new entrepreneurs. Now on Video!! [VIDEO] Receivables Factoring, why would you do it and how does it work? [INTERVIEW] David speaks to Natural Born Coaches Host Marc Mawhinney about coaching as a business oppportunity. [VIDEO] I share the story of a client who used credit cards to finance the purchase of a small business. [VIDEO] Master Mind Groups Part 3. I talk about the annual retreat and my progress on the quarterly micro-goals. [AUDIO] When you need to say 'no' to a sale because you're broke. The end result of not having enough operating capital. [VIDEO] Do you have a sales attitude problem? Are you delivering value or asking for a favour? 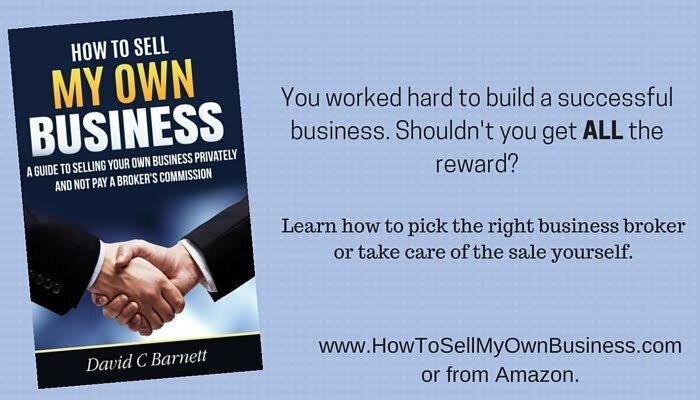 Small Business Sales Tips from my years selling to businesses. [BOOK REVIEW] The Art of Restaurant Theft: 70 Sneaky Tricks Your Employees May Be Doing. Chris' land deal - How do you figure out your yield when you buy low and sell at a profit on a note? [VIDEO] I review goal setting from Napoleon Hill and give some newfound insights into MLM systems. [VIEWER QUESTION] How do I find investors to give me $$Millions to buy and manage a Florida apartment building? Selling restaurants and dead capital.. again. David speaks on 'The Restaurant Ninjas' Podcast. [VIEWER QUESTION] Peter's question: How can I trust the information given by a business seller? [VIEWER QUESTION] Are Business Brokers Valuations Reliable? [VIEWER QUESTION] How do I find financing that acts like equity? Debt:Equity ratio explained. [VIDEO] Why do franchisors charge such big franchise fees? [VIEWER QUESTION] How do I grow a business in a mature market? [VIEWER QUESTION] How do we handle owner's salary when evaluating a business for sale? [VIEWER QUESTION] Does owning gold secure your financial well-being? [VIEWER QUESTION] How do you form and manage a mastermind group? [VIEWER QUESTION] Do business brokers add to the price of a business? [VIEWER QUESTION] What's the right amount of vendor financing? 20%? [VIEWER QUESTION] If a business broker is paid by the seller, how can the buyer trust his advice? [VIEWER QUESTION] Is it wise to buy a failing business and turn it around? Who could pull it off? [VIEWER QUESTION] How do you know if the asking price on a small business is reasonable? 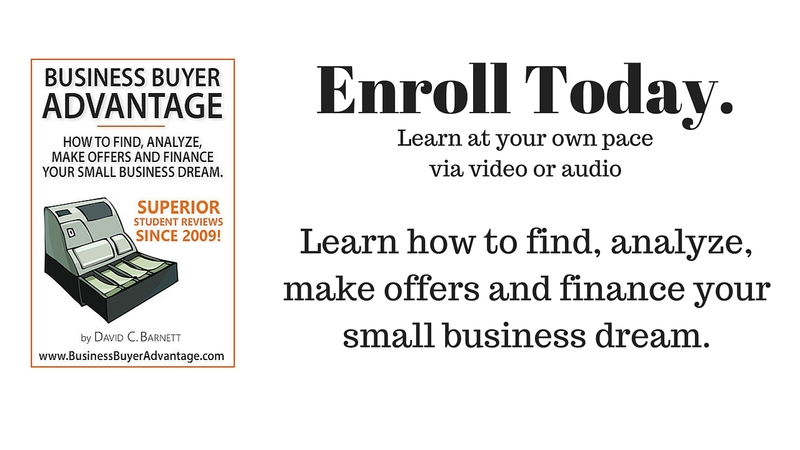 [VIEWER QUESTION] 3 ways to evaluate the price of a small business that is for sale. [VIDEO] Delegating tasks vs. delegating responsibility. 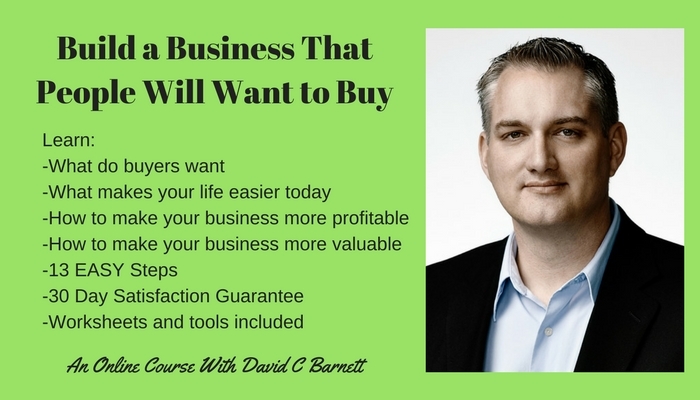 What every business owner needs to learn before they can grow. [VIEWER QUESTION] How can I trust that my information will be safe when buying or selling a small business? [VIEWER QUESTION] What are the best cash flowing businesses to buy? [VIEWER QUESTION] How can I boost the yield on a private loan note without changing the interest rate? [VIEWER QUESTION] How do you put a price on a business with no profit? Want to buy a business? The seller needs to take you seriously...You need to make the first sale. What are legitimate reasons someone may wish to sell a small business? Why can’t a borrower offer the same collateral to many lenders? Should you sell your small business with a real estate agent? How to Sell a Business? Should my business have 100 or 1,000,000 shares? How do Shares work? Stephane visits the banker. 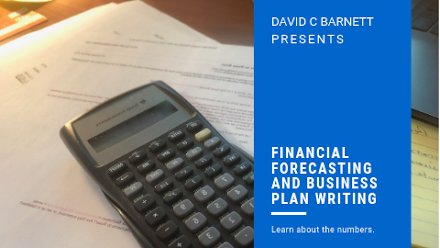 How can he prepare to ask for a business purchase loan? 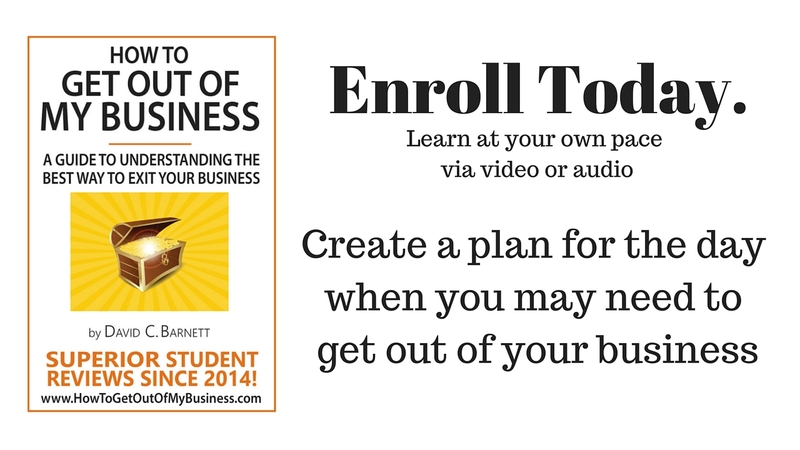 27-Year-Old Want to Buy a Business from a Baby Boomer- How To Buy a Business. What is debt-service coverage ratio and why does the banker care? No Sales? No Problem, Right?!? The issue of 'pre-revenue' startups. Valuing Bread Routes and other delivery services. Do Business Brokers show you ALL the available opportunities? Does every Small Business need employment contracts? 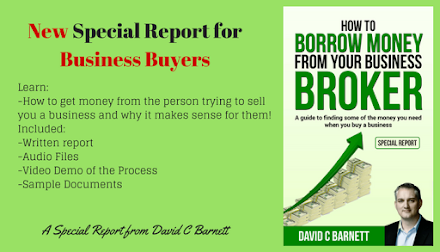 How to Borrow from Business Brokers when buying a business. Bringing Systems into your small business. DON'T MISS OUT ON ANY OF MY CONTENT. SUBSCRIBE TODAY.